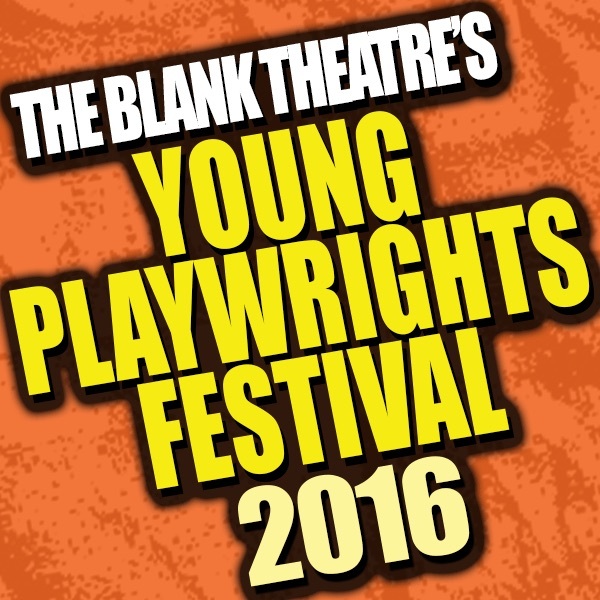 Now celebrating its 25th Anniversary, The Blank Theatre’s Nationwide Young Playwrights Festival has chosen 12 plays by playwrights aged 17, 18, and 19 from six different states and the District of Columbia. These plays will be presented by professional actors and directors in this year’s Festival at The Stella Adler Theatre in Hollywood, June 1–25. This year’s winning plays are: CAROLINE’S GRAND FINALE by Madison Kiernan, Fernandina Beach, FL, Age 17; QUARTER CUP by Lani Kording, Costa Mesa, CA, Age 19; THE PRESENT IMPERFECT by Rachel Linton, Washington, DC, Age 19; LOADED by Trinity Goderstad, Engelwood, CO, Age 18; DEATH ROWS by Jasmine Sharma, Franklin Lakes, NJ, Age 18; TAKE IT WITH YOU by Jasmine Perry, New York, NY, Age 19; YOU’RE A BRAIN, THAT YOU ARE by Dana Hensler, Danville, CA, Age 19; THIS AMERICAN STRIFE by Akela Munsey, Monrovia, CA, Age 17; THE SECRET LIFE OF BICYCLES by India Kotis, New York, NY, Age 19;THE AUGUST 22nd OF MY CHILDHOOD by Rayna Berggren, Santa Monica, CA, Age 18; OCEAN DEBRIS by Cassandra Hsiao, Walnut, CA, Age 17; and THAT’S WHAT IT’S ALL ABOUT by James La Bella, Marlborough, CT, Age 19. A panel of theatre professionals chose from 241 plays submitted by young writers across the nation. Winning playwrights are next assigned a mentor, and then a professional director who will help them hone their scripts for four public performances with professional actors. This year’s mentors include Dave Holstein (Weeds, Raising Hope), Ellen Byron (Just Shoot Me, Wings), Gary Tieche (Medium), Kit Steinkellner (four-time YPF winner), Beth Bigler (The Real Housewives of Atlanta and three-time YPF winner), Bert V. Royal (Dog Sees God), Austin Winsberg (five-time YPF winner;The Sound of Music Live, Gossip Girl), Adam Lapidus, Robert L. Freedman (two-time Tony Award-winner for A Gentleman’s Guide to Love and Murder), Shelagh McFadden, Jennie Webb, and Adam Belanoff (Major Crimes). This year’s directors are (in alphabetical order) Barbara Bain, June Carryl, Warren Davis, Rebecca Eisenberg, James Kerwin, Angela Oh, Christopher J. Raymond, Michael A. Shepperd, Laura Stribling, Richard Tatum, April Webster, and Stoney Westmoreland. Over the past 24 years, The Blank has produced 284 plays by young playwrights.Eleven of those plays or playwrights have gone on to be presented on The Blank’s mainstage. Additionally, many of the plays have been nominated for LA theatre awards, including an Ovation Award for Best Writing—World Premiere, and an LA Weekly Award for Best One-Act Playwriting. Other alumni playwrights are populating the nation’s theatres and sound stages with their work. Many YPF winners have gone on to successful writing careers on Broadway, are filling regional stages, and have created network TV shows. 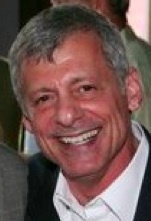 Alumnus winner Stephen Karam has been a two-time finalist for the Pulitzer Prize for Drama and is a Tony Award-winner for Best Play of the 2016 Broadway season for The Humans. This year’s YPF is made possible in part by The Bloomberg Philanthropies, Los Angeles County Arts Commission, Los Angeles City Department of Cultural Affairs, The Rosenthal Family Foundation, The Plum Foundation, and the Ralph M. Parsons Foundation. 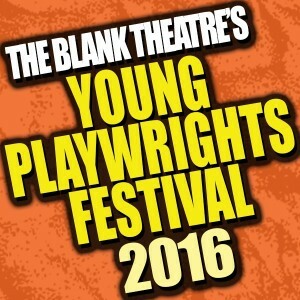 The Blank Theatre’s 25th Anniversary Young Playwrights Festival will run June 1–25 at the Stella Adler Theatre, 6773 Hollywood Boulevard, in Hollywood. The performance schedule is Thursday, Friday, and Saturday at 8pm and Sunday at 2pm. Each week’s program includes three plays, and admission is $25 for adults and $15 for students. Festival passes, which are good for one ticket each week of the festival, are $80 for adults and $50 for students. Tickets may be purchased online at www.TheBlank.com, or by phone at (323) 661-9827.